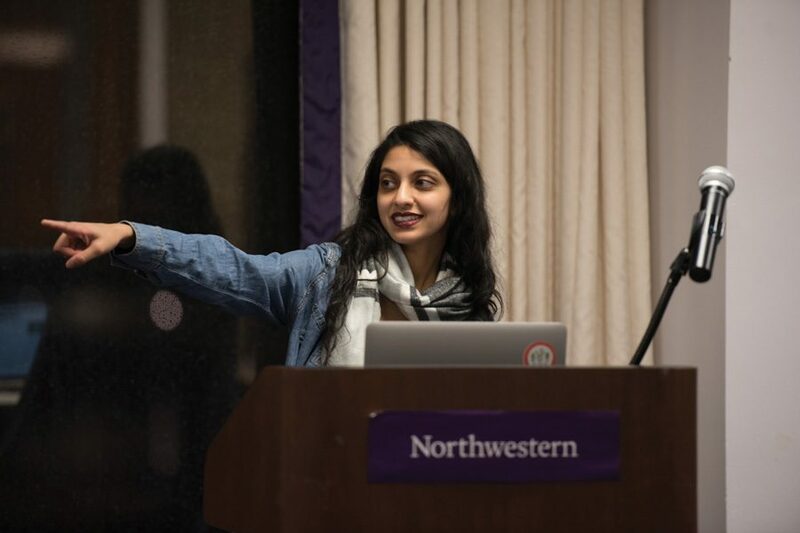 Weinberg junior Nehaarika Mulukutla speaks at ASG senate. Mulukutla announced Tuesday she will run for ASG President. Weinberg junior Nehaarika Mulukutla will run uncontested for ASG President, election commissioner Shayna Servillas confirmed Tuesday. Servillas said she is unsure of the last time a candidate ran unopposed, but thinks it was at least four years ago. Mulukutla’s running mate is Weinberg junior Rosalie Gambrah, who is currently ASG’s vice president for student activities. Gambrah is also involved with the African Students Association and is a Northwestern Student Ambassador. Mulukutla currently serves as ASG’s Speaker of the Senate. She is also involved with Women in Leadership and serves as a tour guide for the Office of Undergraduate Admission. Although they are running unopposed, Mulukutla said the pair will meet with more than 60 student groups to help shape their campaign. Their campaign website highlights three issues: mental health, inclusivity and accessibility, and sexual assault, with in-depth explanations on how the pair plans to address all three. SESP senior Robert Bourret, the campaign’s communications director, said sexual assault was an important issue to Mulukutla and Gambrah. Rosalie Gambrah is a candidate for ASG executive vice president. Gambrah and ASG presidential candidate Nehaarika Mulukutla kicked off their campaign Tuesday night. According to the campaign website, the pair wants to create a permanent advisory committee to ASG’s executive board that will help ASG hear underrepresented voices. In addition, they want to create an advisory board to University President Morton Schapiro focused on LGBTQ, black, Latinx and low-income students’ issues. 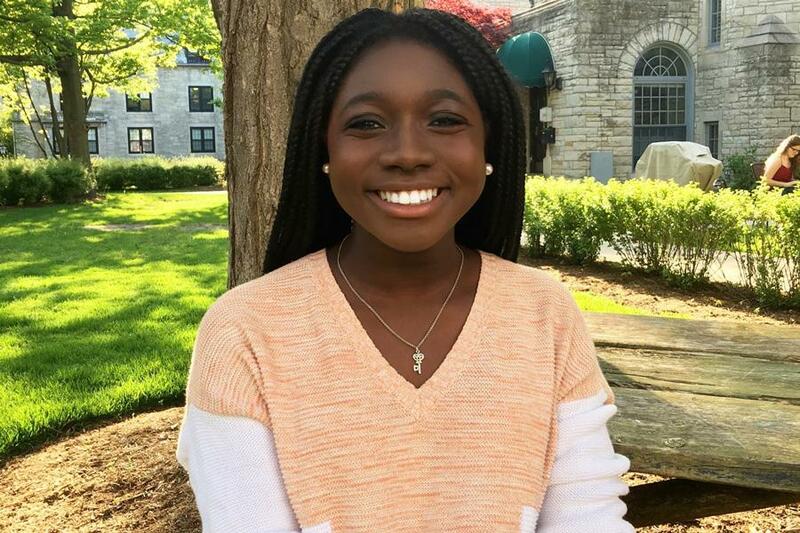 Mulukutla said she is running to help change NU’s campus culture. Voting will last from 5 p.m on April 6 until 5 p.m. the following day. Because there is only one ticket, ASG will hold forums in place of previously scheduled debates. The first forum will be hosted by ASG on April 4, followed by an April 5 forum hosted by The Daily and another on April 6 hosted by Political Union. Gambrah said running unopposed doesn’t change the campaign’s focus. Correction: A previous version of this story misspelled Nehaarika Mulukutla’s name. The Daily regrets the error.